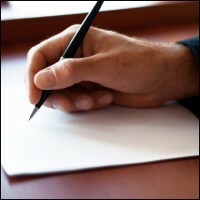 Write great letters or columns and get your message out! Ever get an itch to let people know what you think on an issue you care about? Ever thought about writing it down and sending it to a newspaper to be published? You can do this with “letters to the editor” (LTEs) and guest op-eds (or columns). It’s not difficult, and can be more influential that you think. Letters to the editor are just short letters submitted to the editor of a publication and (sometimes) printed for everyone to see. Op-Eds are longer opinion pieces (or columns) that in most newspapers appear on the page opposite the editorial page; hence the term “op-eds”. When most people think about letters to the editor or op-eds, they think about newspapers, but don’t forget that a many news organizations exist online as well, not to mention sites that are just dedicated to political and/or religious news and information from a certain point of view. Also don’t overlook smaller publications, such as local weekly papers and magazines. The point is that it is a great (and cheap) way to get your message out to your target audience in a medium where you control exactly what is written, (just not whether it gets published). In addition, elected officials usually keep track of what’s being written as another way to keep up with what issues people in their community care about. Generally, limit yourself to one subject and be brief. List your concerns and articulate the facts. Work to keep it simple so that it can be easily understood. Don’t base it on emotion. Keep it civil and don’t go on a rampage and vent your spleen. You won’t win any converts that way. Find the publication’s policies for letters or guest columns. Most newspapers prefer letters under 150 words, and op-ed pieces in the range of 600 to 800 words. Get a sense of what their editors will be looking for by becoming familiar with similar items that they print every day. Try to have an angle that the editor would appreciate, (make sure that it fits with the general focus of the publication). Keep up with current events and look for opportunities to work a local news angle into what you’re writing. Timing is the key. The more relevant your topic is to current events, the better your chances of being published. Space is limited, so the fewer points you’re trying to make the better. If you can’t work your main point into one or two sentences, then you need to refine it. Identify a few points that support your argument and build around them. Be clear about your position. Don’t equivocate. Make an effort to anticipate and refute the arguments of your opposition. Get to the point quickly and convince the reader that it’s worth their time to keep reading. Draw them in by making sure that the first paragraph catches their attention. When writing an op-ed, you state the conclusion first. Make your strongest point early, then use the rest of your space to support that point. You can provide some initial background information, but don’t let it overwhelm your article. Put yourself in the place of the reader looking at your article. As you are writing, at the end of every few paragraphs, ask yourself: “so what?” Then answer the question. What will your suggestions accomplish? What should they mean to the reader? Offer specific recommendations. Look for great examples that illustrate your argument, or use personal anecdotes and humor to draw the reader in. Help educate them without being preachy. Use short sentences and paragraphs. Your writing should be crisp, clear, concise and to the point. You want to write in order to be read by the largest audience possible, not drown people in verbiage. Use active, rather than passive language. As mentioned, it’s important to have a strong opening paragraph, but it’s also important to close well. You want a short, strong closing paragraph that neatly, (and memorably) summarizes your argument, (maybe even cleverly restating that point you made in the opening paragraph). Restate your position and call people to action. Provide your standard contact information, as well as one or two sentences describing who you are, what you do, and any other information that you think the editor should be aware of. 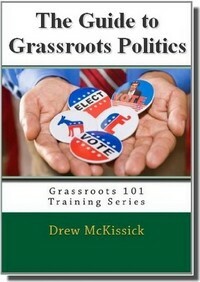 For example: “Joe Smith is an Anytown, USA based political activist with Concerned Citizens. He can be reached at xxxxxxx”. Make it easy for them to let everyone know who you are and what you’re about. Letters and op-eds are a great and inexpensive way of getting a message out and helping shape public opinion. Any group that works to have an impact on one or more issues should make it a point to have a regular schedule of someone from the group (or a respected person with the same point of view) submitting letters and guest op-eds to the media outlets that reach your target audience. So go ahead, let people know what you think!